The NeatReceipts Mobile Scanner and Digital Filing System helps you manage all of your paperwork on the computer. The patented Neat software identifies and extracts the important information from receipts, business cards and documents and automatically organizes it for you in an easy-to-use, intuitive application. All scanned documents can be searched by keyword so you can find exactly what you need. Capture name, address, company title, etc. 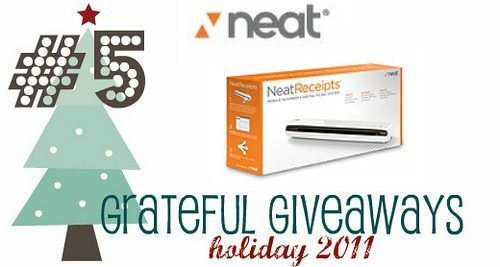 One lucky Life Your Way reader will win a NeatReceipts to help them get organized and eliminate paper clutter! Leave a comment. What type of paper clutter would you eliminate with the NeatReceipts Scanner? 3. Follow The Neat Company on Facebook.